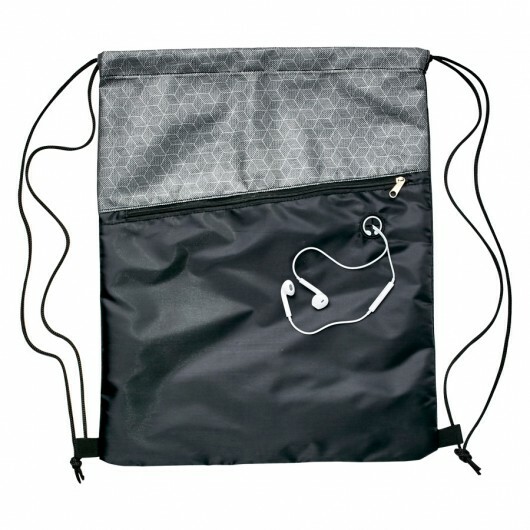 With a silver geometric pattern these backsacks stand out and look cool. Great for high energy and sporting promotions these drawstring backpacks have a stylish silver geometric pattern and a black space for your branding. 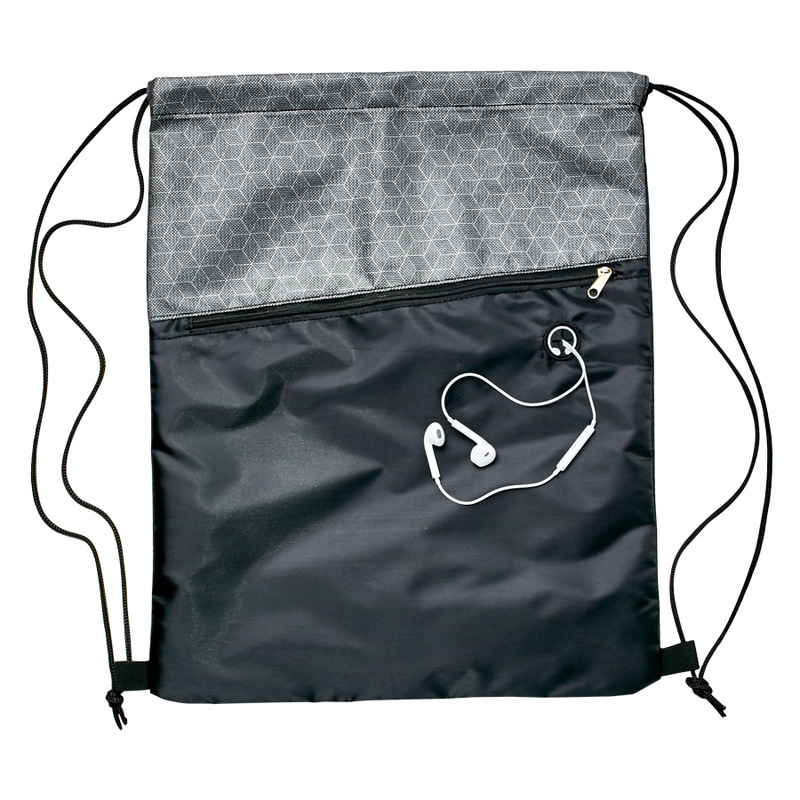 It has two drawstrings and a zippered front pocket with earbud port that allows earbuds to be used through the front pocket. 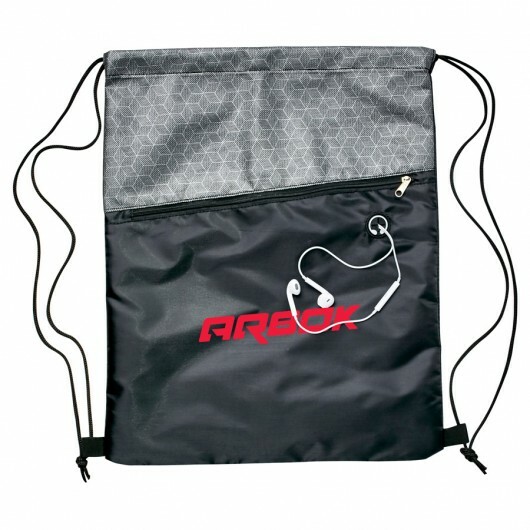 Get your logo printed on these with either a single colour or full colour print, please note a longer production applies to a full colour print.